This is the first in a new series focused on PowerShell for SQL developers. That means using PowerShell to create and/or modify table schema, stored procedures, and indexes. In other words, automating code development and database tuning processes. This is mostly what I’ve been using PowerShell for so far, and I have to say, I am LOVING it! It’s allowing me to save *days* of coding and validating. The first time we open PowerShell, we will need to run it as Administrator for elevated permissions. 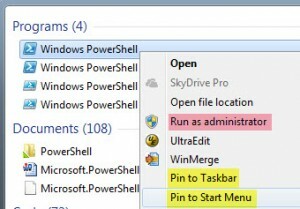 To do this, right-click on the Windows PowerShell icon that should now be on your Taskbar, then click on “Run as Administrator.” While you’re there, also add it to your Taskbar and/or Start Menu for easy retrieval in the future. Now we need to change the Execution Policy from “Restricted” — which prevents the execution of PowerShell scripts — to something a little more accessible. For the purposes of this post, we’re going to set it to “RemoteSigned,” with the understanding that this may pose some security risks. You can read more about Execution Policy settings here: Using the Get-ExecutionPolicy Cmdlet. Alrighty, now we’re ready to write some PowerShell! Go ahead and close your PowerShell window, then re-open as you normally would (not in Administrator mode; we don’t need elevated permissions any longer). Let’s start with some simple commands. For this post, I have scripted all objects from AdventureWorks to a new directory called C:\MyCode\. We can take a look at the files in the directory using a cmdshell command that’s probably very familiar: Dir. 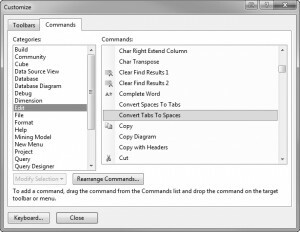 Go ahead and run that command now. What we see is that, under the covers, Dir is nothing more than an alias for Get-ChildItem. So let’s switch to using Get-ChildItem from here on out. One thing that took me a while to discover, but which is very helpful, is the auto-complete functionality inherent in PowerShell. 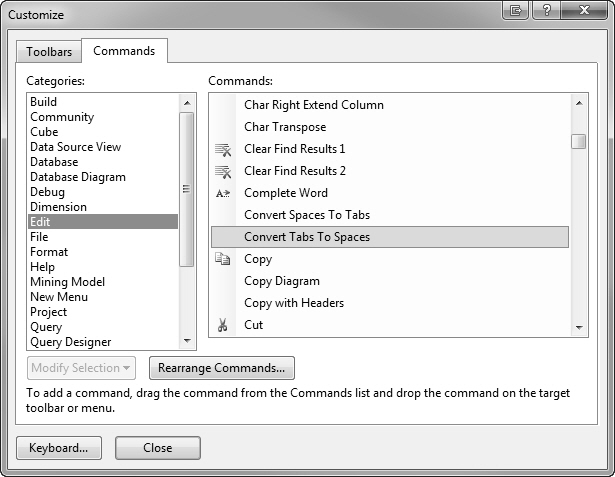 To use this, just start typing a command, such as “Get-Ch”, and hit the Tab key. As you press Tab, PowerShell will iterate through the list of available cmdlets / switches that are available in the current context. Keep hitting Tab until you get to Get-ChildItem, then execute that command. Type “Get-ChildItem -” (make sure to include the hyphen, or you’ll be tabbing through way more than you’d like) and press Tab to iterate through the list of available switches. Stop when you get to the -Recurse switch. If you go too far, don’t worry… you can hit the Shift+Tab to go in reverse direction. This allows Get-ChildItem to execute against child folders too, so we’ll add that to our command. So far, so good. Now what else can we do? At this point, we need to discuss piping. Piping is a way to stack multiple cmdlets together to produce a single, final, perfect result. 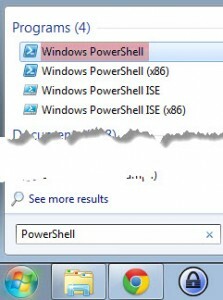 It’s one of the features that adds the “power” in PowerShell. You can read more about piping here: Piping and the Pipeline in Windows PowerShell. Get-ChildItem -Recurse | Select-String -Pattern "SalesOrderDetail"
So what’s this doing? Well, it’s iterating through each of the files listed in the directory and subdirectories, then calling the Select-String cmdlet to find files that contain the word “SalesOrderDetail.” It’s even showing us what line the pattern is found on. Pretty awesome, huh? But I think we can do better. This returns a very easy-to-consume list of files that contain the pattern “SalesOrderDetail.” Imagine using this to search through hundreds of files and thousands of lines of code to find dependencies. 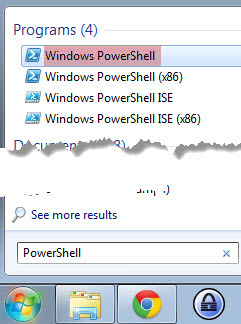 Powerful PowerShell indeed. This post probably has a small audience, but there were a handful of conversion issues I ran into when I upgraded to PowerShell 3.0. It was difficult finding posts related to the errors I encountered, so I’m posting my experiences in the hopes that it helps someone else down the road. The first issue I encountered was calling PowerShell from xp_cmdshell on a remote SQL Server. # PoSh 2.0 Results AllSigned # PoSh 3.0 Results 'powershell.exe' is not recognized as an internal or external command, operable program or batch file. Another issue I ran into was calling the Teradata .NET Data Provider. In PowerShell 2.0, I was calling the Invoke-SqlStmt function I previously posted to connect from a Windows server to a remote Teradata server. Exception calling "GetFactory" with "1" argument(s): "Unable to find the requested .Net Framework Data Provider. It may not be installed." I couldn’t find anything that would explain this behavior, and I confirmed that everything still worked great when ran from PowerShell 2.0. Ultimately, I decided to install the Teradata .NET Data Provider locally, which solved the problem. I didn’t find anything that explained why I could previously use a remote adapter and now can only use a local adapter. I don’t really understand the problem, but I was able to solve it. Here’s the syntax to install the Teradata .NET Data Provider remotely using xp_cmdshell. Note that this code is installing the 13.11 adapter, so you may need to change the filename if you’re installing a different version. And to leave things on a positive note, one awesome improvement of PowerShell 3.0 over 2.0 is the redirection operators. I’m a big fan of logging and verbose messaging, but in 2.0, I had to put extra steps into the code to log these messages. In 3.0, I’ve been able to log my verbose output simply by appending “*> directory” to my commands, i.e.